Navigating your way through the CPA exam is difficult. It’s even harder if you have to do it by yourself. Having someone who can explain the process to you and help you stay on track while you are going through your review course could save you tens of hours of study time. That’s why it’s so important to get a CPA review course with excellent student support. Sometimes you need help with understanding a topic or concept and other times you need help simply staying motivated. Different CPA review providers offer different levels of customer and student support, so it’s important to keep that in mind when you are picking out the right study guide for you. In this post, I’ll discuss the different support levels for each of the most popular CPA prep courses and what you can expect from each company. That way you can get the level of support you will need to pass the exam your first try. Which CPA Study Materials Have the Best Student Support? 1 Which CPA Study Materials Have the Best Student Support? 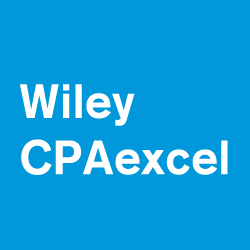 2 Which Company provides the Best CPA Candidate Support? Roger’s student support is similar to Wiley’s student discussion board. Their homework help center is kind of a forum filled with questions from past and current students answered by Roger’s expect CPA exam staff. I know what you are thinking. No, Roger does not sit on these forums and answer your questions, unfortunately. It would be kind of cool to ask him questions directly though. This resource is pretty extensive, but it runs into the same problems that Wiley’s forum does: time delays. Most questions are answered within 24-48 hours, so if you are stuck on a topic right now, you will either have to look through tons of forum posts to find a similar question or wait a day or two to get a response. Also, most of the expert responses seem to be simple and not very detailed. Sometimes a short answer is adequate or even preferred. Other times, it just doesn’t cut it. 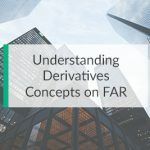 That being said, this is a thorough resource that should answer pretty much all of your questions while you go through the Roger CPA review course, but it doesn’t give you instant feedback or answers. Wiley’s student support is divided into two different sections: live chat and student discussion boards. The live chat is focused on customer service, while the discussion boards are focused on student support. The live chat feature allows you to instant message a customer support person any time during business hours, but this feature isn’t really intended for CPA exam support. This is really meant for technical support for the course. So, if you have a question about how to set up a quiz or something, you can use this feature. The student discussion board is like a forum inside of the CPAexcel platform when you can read topics that other candidates and students have posted as well as post your own questions. These questions are then answered by other students or Wiley’s staff and instructors. 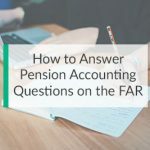 This typically isn’t the fastest way to get a response because it usually takes a day or two or three for an instructor or staff member to reply to your question. Thus, if you are struggling with a difficult CPA exam concept, you probably won’t get an answer that day. Wiley doesn’t have the greatest student support, but it more than makes up for it with their actual course features. The course is so easy to use and full of detail that you probably won’t have many questions about the exam. But, if you think you will need a lot of 1-on-1 support and guidance, this might not be the right course for you. Surgent is a company that comes from the CPE world doing live professional CPE webinars that deliver instant feedback to participants. 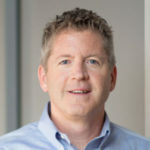 They’ve taken their 20 years of customer support experience with professional CPE and applied it to CPA exam student support. Needless to say, it’s top notch. Surgent CPA has several different CPA experts on staff that act as coaches for you once you start using their review course. You can contact your coach at any time by simply emailing them your question directly. You might be thinking that you’ve emailed other companies’ support staff before and had to wait days to hear a reply. This is not the case with Surgent. Their student support typically emails back a fairly detailed answer within a few hours. That’s pretty awesome! You can also request a 1 – on – 1 coaching session where your coach will help you create a study plan, set up a study schedule, and answer any exam topic questions you might have. This is a pretty powerful resource and a great way to prepare for your exam. Yaeger CPA offers two different resources for students who need help during their studying process: student forums and Yaeger instructor support. The student forums are found in the MyYaeger student portal and are filled with questions from past CPA exam candidates. This forum works the same way other companies’ forums work with one big exception. It’s only a student forum. This means that the Yaeger instructors don’t monitor it or actively answer the questions in it. Although there is a lot of good information in the forum, it tends to be the blind leading the blind. The more useful resource is the access to Yaeger instructors. You will be able to email the instructors directly with your questions about the exam materials and your study process as a whole. This is a huge resource, although some people have complained about the timeliness of their responses. Either way, this is a great resource. No other course gives you direct access to the actual CPA study material lecturers and presenters like Yaeger does. This level of support is really helpful, but what’s more helpful is their ask the experts section in the course itself. This section allows you to submit a question to all of the Gleim counselors and get a detailed response within a few hours. Yup, that’s right, a few hours. These responses tend to be just as detailed and helpful as the Gleim course itself. Thus, you can expect your question to be fully explained in detail with helpful examples. No other course is quite as detailed as Gleim is, so if you feel like you will need a lot of explanations about topics and concepts, this is definitely the right course for you. Fast Forward Academy offers several personal student support options. First, similar to other companies, when you sign up for your FFA course you will be assigned a counselor. This person will help you track milestones in your course and remind you when you need to step up your studying game. The second support option is a student community. This acts much like a forum where you can post questions about the exam or your study process in general. Unlike other forums, Fast Forward Academy actually monitors and replies to students questions. It’s not uncommon for the expert FFA staff to reply to questions within a few hours. You can expect to have an answer from a qualified person within a day, however. Thus, FFA implements the best of both customer support models. You have a personal counselor for 1-on-1 inquires and a curated forum for general questions. Which Company provides the Best CPA Candidate Support? Unfortunately, there isn’t one company that provides the best CPA exam support. They all have different pros and cons. Some companies are better at some things while others are better at other things. It’s more important to look at what you want out of a support system and who provides that rather than looking at who has the “best overall support.” Here’s a list of the important categories. Gleim, by far, provides the most detailed answers to your questions. If you feel like you will need a lot of explanation, you should go with Gleim. Surgent seems to have the fastest response time out of any company. Obviously, this could change in the future, but right now Surgent is your best bet to get quick replies to your questions. Yaeger is the only company that offers direct support from their lecturers, instructors, and presenters. Other companies employ their staff and internal CPA experts. If you want to talk directly to the course lecturer, Yaeger offers that. Roger CPA offers the best forum because it’s monitored regularly by their expert staff and it’s easy to use. Your questions will be answered relatively quickly and you will have access to past student questions and answers as well.